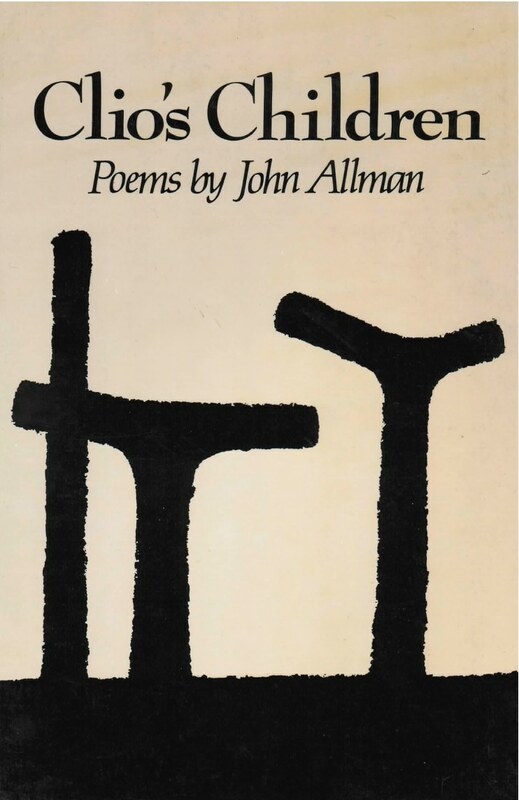 John Allman’s Clio’s Children is a book of twenty-three narrative poems that, taken together, form a compelling history of modern times, seen through the eyes of exceptional people at key moments of their lives––moments of “historical epiphany” that serve to define an era. Fyodor Dostoevsky, in 1849, standing helpless and hopeless before the firing squad of Tzar Nicholas I; J. Robert Oppenheimer at Alamogordo, New Mexico, in 1945, about to witness the first nuclear explosion––these two turning points in personal consciousness are chosen by the poet to mark the century that preceded, and prefigured, our troubled postindustrial world. In all the poems, Allman’s dramatic settings point to the tension between the strength of the individual and the ever-encroaching power of the state. The personae he uses––from Dostoevsky to Oppenheimer, Frederick Douglass to Marcus Garvey, George Sand to Emma Goldman, to name just a few––are men and women of amazing gifts, whose greatness challenges our obsessions with the small and trivial, and whose human character is the reality of our history made flesh. These are the children of Clio, the muse of history, goddess of renown.